GPSyTM allows you to open and calibrate raster graphic maps and use them as part of a real-time map display. GPSy supports all image files supported by the QuickTime libraries -- with QuickTime 4.0 this includes: TIFF, GeoTIFF, JPEG, JFIF, QTIF, GIF, PhotoShop, SGI, PICT, BMP and others. Downloaded waypoints and tracks appear on the map display as well as the current position. If you need support for BSB format nautical charts or work with extremely large map images, you may be interested in GPSy Pro which is an enhanced version of GPSy. Displays brings up panels with all of the device information obtained from your GPS unit, including: location (latitude/longitude/altitude); speed; bearing; heading; location of next waypoint; and so forth. It also includes the Anti-Selective-Availability (SA) feature which uses position averaging to obtain a high degree of positional accuracy. Utilities includes the Set Location/Set Time option which allow you to set your Macintosh Time and position to a high degree of accuracy. It also includes Garmin data upload and download features, including the Garmin extended protocol. GPSyTM also has an exclusive Send GPS/NMEA Command feature which allows it to control bi-directional programmable GPS units such as the Ashtec SCA-12. GPSyLinkTM brings up the special link to Internet Map Servers such as GoogleMaps that allows you to visualize your position on a street-level moving map display similar to many "car navigation" units. This is also an exclusive GPSy(TM)-only feature. Please note that display panels are dependent on device data sent from the GPS units. Not all GPS units nor communications protocol send enough information to complete all panel information. The location panel notes your current location and altitude. You can change the primary (large upper area) and secondary (smaller lower) displays to show in latitude/longitude degrees (DDD; DMM;DMS); UTM/UPS (1, 1000, 10000m grids); ECEF XYZ; Australian Map Grid; British National Grid; French GRADs; German Grid (GK); Irish Grid; New Zealand Map Grid; Swedish Grid; and Swiss Grid; as well as altitude in metric and statute units and geodetic datum from a list of 124. The heading panel gives you your current speed over ground (SOG); velocity made good (VMG); and heading. GPSyTM can display speed in selectable statute, nautical, or metric units and heading/bearing in selectable magnetic or true north degrees or grades (French). Declination calculations are derived from GPS data. The navigation panel gives you your velocity made good; bearing to next waypoint; distance to next waypoint; name and location of next waypoint. The satellite panel will show your current satellite configuration and reception strengths. DOP/EPE estimates are also given as well as the current PRNs in use and visibility. Satellite strength is color-coded (not readily visible in the reduced Netscape color set used in this GIF). If used in conjunction with a Rockwell NavCore or Zodiac chipset GPS protocol, DeLorme Tripmate, or Sony IPS Protocol device, specific satellite acquisition data is displayed for each receiver channel. Additional Device Data displays current UTC time information obtained from the GPS unit; Macintosh system time deviation; magnetic declination information; geoidal separation (undulation); and current GPS geoidal datum. The GPS Data Monitor displays the last eleven (11) NMEA sentences or other protocol packets received and parsed. It also shows the current NMEA sentence and Note/Comment information from GPSyTM or from GPSyTM log files. It can be used in conjunction with the Send GPS/NMEA Command function for interactive GPS command and control. The Static Position Panel (Anti-SA mode) averages the current position in order to obtain a high-precision fix (usually < 10 meters). Copious statistics are kept for analysis and accuracy evaluation. Display preferences allows you to change the primary and secondary display and transfer datum from a list of 124 datums; the primary and secondary display coordinate system; and use of metric/statute/nautical units. The datum warning is on the panel because some GPS units perform datum translations on-board, and a secondary translation by GPSyTM would cause an inaccurate data result. GPSy automatically detects and corrects the datum for data sent from Garmin, DeLorme, Rockwell, and Sony GPS units however some other manufacturers may need manual adjustment. GPSy is the only product that provides primary and secondary data displays using separate datums (124 provided) and coordinate systems. GPSy supports lat/longitude (DMS, DMM, DDD); UTM/UPS; ECEF XYZ; Australian; British; French; German; Irish; New Zealand; and Swiss National Grid systems. The dual display is especially useful when having to negotiate between two maps with different datums or grid systems. Data transfers can be in any of the coordinate systems or datums supplied. Serial Preferences: GPSyTM has the best serial support of any GPS communications program for the Macintosh. All serial ports including PowerBook serial ports; Communication ToolBox (CTB ports); NuBus and PCI serial cards; and PC-card (PCMCIA) serial cards and GPS cards are supported. We support the industry-standard NMEA-0183 and NMEA-0182 protocols as well as the manufacturer specific Rockwell NavCore; Rockwell Zodiac; Sony IPS and Garmin RealTime Protocols. 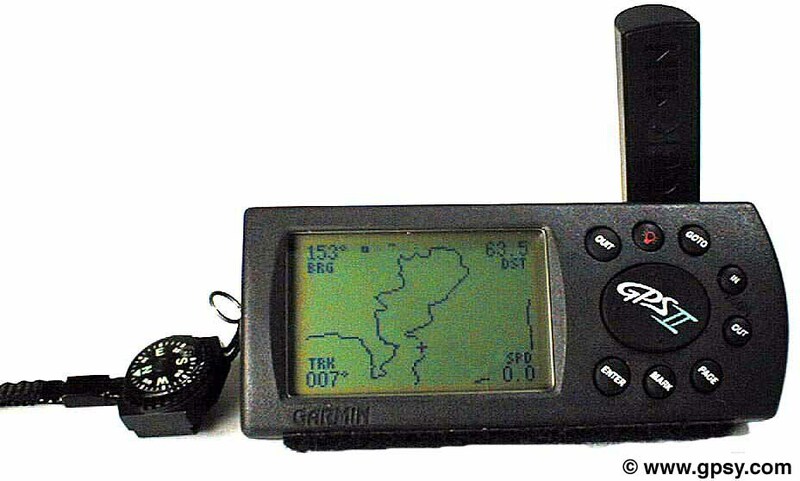 We support waypoint data transfers with popular Garmin, Eagle/Lowrance, and Magellan GPS units. For a full list of compatible GPS units, see our GPSy Compatibility Page. GPSyTM also supports rigorous NMEA checksum verification. Mode-switch warnings when uploading/downloading to Garmin GPS units is optionally switchable. Static Position Calculation Mode Preferences: GPSyTM can use a variety of methods to ensure that the optimal algorithm is used for the static position calculations. Since positional accuracy is highly dependent on the Dilution of Precision (DOP), the DOP can be used to weigh data samples or as a data cut-off point. Set Location: GPSyTM can set your Macintosh's PRAM location to your current GPS location. GPSyTM also attempts a best-guess at your current UTC-offset (time zone), although global geo-politics often means that time zones don't match longitudinal guesses. Set Time GPSyTM allows you to synchronize your Macintosh sytem time to the highly accurate GPS time, which itself is synchronized to USNO atomic time (the official time standard). Accuracy is contingent on the Macintosh system clock chip which is only accurate to the seconds level. GPSyTM has a unique bi-directional computer command control capability (four Cs = milspeak) that allows it communicate with and program high-end GPS units such as the Ashtec SCA-12/12S; the DeLorme Tripmate; StarLink Differential GPS beacons; attached modems/TNCs; or any other serial controllable device. As can be seen in the screenshot, for each of the 60+ built-in commands, a full command paradigm and description is included. This is essential for the sometimes obtuse SCA-12 command set. The command database is easily user extensible with ResEdit or Resorcerer. Users are invited to submit command paradigms for inclusion in future versions of GPSyTM. Although the primary use of this command control facility was to control the Ashtec SCA-12 (over 60 built-in set/query commands for the Ashtec unit); you can also use this feature to control other devices as well. For example: For volcano or unit tracking, you can hook a GPS/DGPS unit up to a modem or radio/packet modem set on auto-answer. Using GPSy'sTM Send GPS/NMEA Command capability, you can dial into this remote modem/GPS; and ask it to download track data or other information. The screenshot below was taken from StreetAtlas 3.0 while driving in suburban New Haven. It gives a good sense of the high level of accuracy from the Street Atlas program. You can zoom out further to see highways, interstates, and so forth. The colors are a bit off because of the reduced Netscape color set, but the green arrow indicates the current heading and speed, while the blue arrow represents the bearing to the next waypoint and the distance to go. Waypoints (not visible in this image) are displayed as red arrows and are labelled appropriately (if your GPS supports waypoint labelling). We plan to add screenshots of the Internet Map Server and other packages to this page as soon as we can negotiate the tricky copyright issues in reproducing their map displays. While we present the "push" side of GPSyLink here where GPSy pushes data to third-party applications; there is also a "pull" or client side of GPSyLink where it responds to data requests via AppleEvents. For more information on clients that pull data from GPSy or for the GPSy Developer's SDK, please see our Third Party Partner Solutions page. This page was last updated on May 16, 1999. We've had hits since March 27th, 1997.